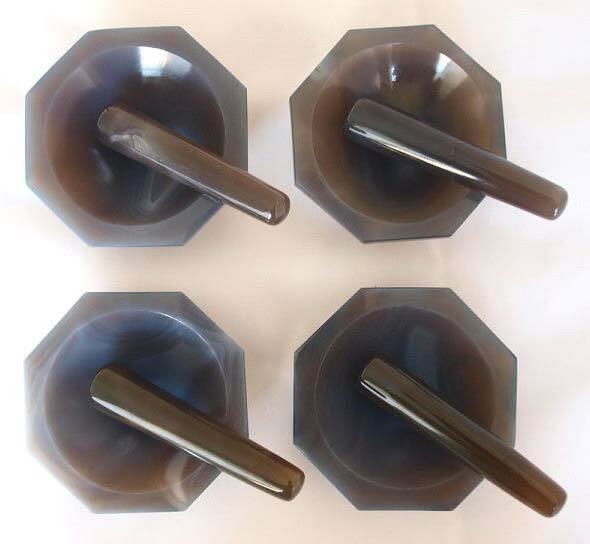 We are the noted Manufacturer, Exporter & Supplier of high quality Agate Mortar and Pestle. It is highly resistant to wear and abrasion and thus widely in demand for grinding a matrix of a solid sample with powder. These are the ideal tools used for making transparent pellet free from spurious absorption peaks. Our Agate Mortar and Pestle is available in different sizes. Agate is a naturally occurring form of quartz recognized for its high resistance to abrasion and wear. Its hardness is 6-7 on the Mohr scale. It is also resistant to most chemicals with the exception of hydrofluoric acid that has the tendency to scrape the material. Each mortar and pestle that we make available is precisely polished to a high degree so as to prevent potential sample particle entrapment and also cross contamination from successive sample processing.